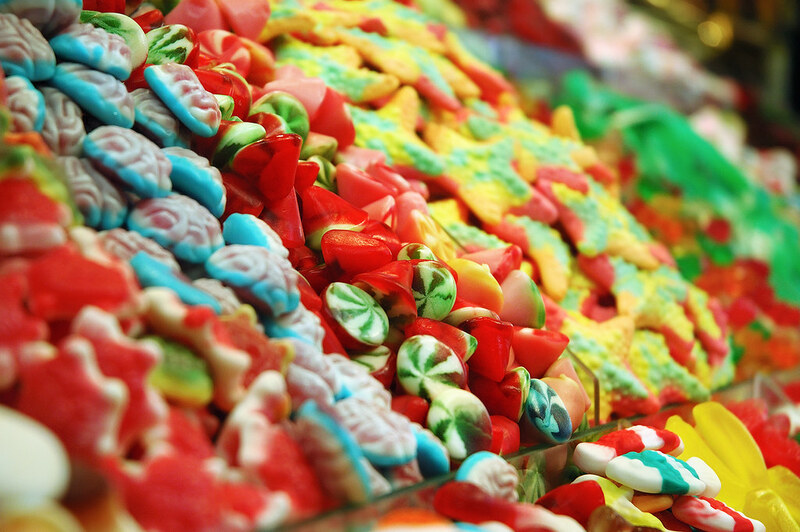 The dream of every child, mountains of gummy candy triggering the wildest fantasies in the back of their minds, with funny shapes and delicious flavors. I thought this was going to be an easy picture but to my surprise I had a lot of problem with predominant yellow from the incandescent light and white balance. I am not completely satisfied but the large version came out somewhat acceptable in the end. I hope you like it. Magnífica composición de colores !!! such a yummy photo! I love all the colors, and I can just taste the sweetness!